Vinticious? Now what does that mean? Let's make a quess, a combination of vintage and deliscious. The story is easier. De Staat did several instores after the release of 'I-con', the band's last album. That took another approach to the songs. They had to be redone, brought down from the full band versions, etc. From one thing came another and the band decided to work from this and record some of these different versions or used the excuse to redo some songs totally. The result, the 8 song album Vinticious versions. Total make over? The term is fairly well in use here. Google some on this title and you'll find text like "This is not the Beastie Boys". Now I've never been a real the Beastie Boys fan, but I recognise their style immediately. So I could have been fooled easily here. A joke, but certainly a convincing one, as this is just very well done. That goes for the whole of the album. Vinticious versions is like a delicious in between dish during a many coursed meal. Although that most songs are recognisable for the fan, the way they are presented and the atmosphere as a whole are distinctly different. The band is just as tight and veers left and right sonically, but they have taken the top off and air and sun is let in. 'Build that, buy that' is a great example. The rhythm is there, the tension in the singing, but the rest is just fun. Almost like a child's song. All without losing anything of the unique quality of the song. De Staat has captured this exactly and still all is light. A hat off moment this is. Basically I could stop here, were it not that 'Input source select' is up next. De Staat as the Beastie Boys. Here the band really adds something to the original. Although the Beastie Boys have been mentioned by me in one of De Staat reviews on this blog in the past as an influence, here the band goes all the way. All the subtleties are let out with a great almost new song as a result. 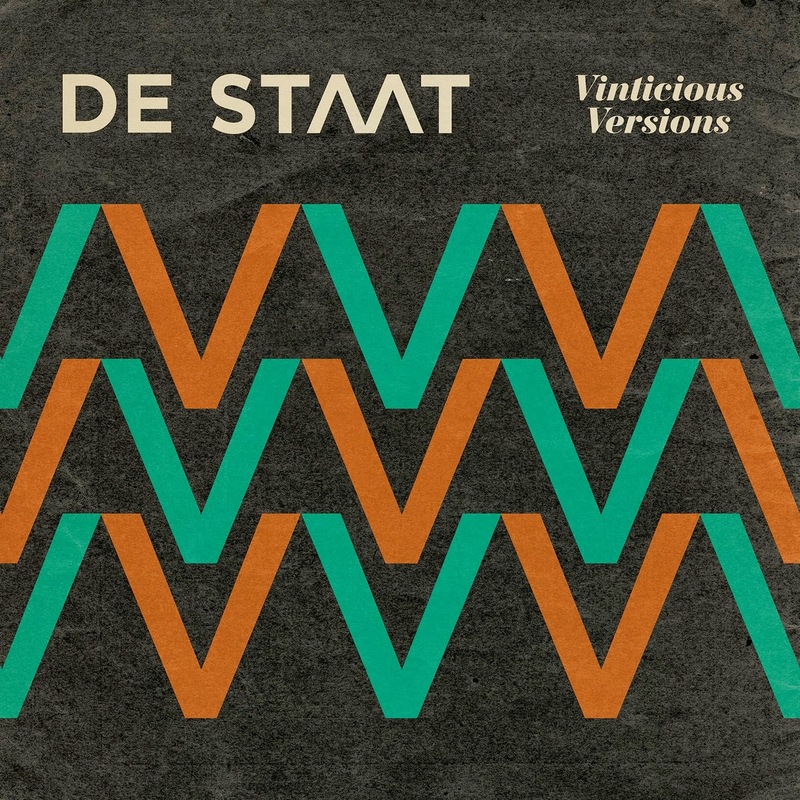 And facing all eight songs, the album as a whole, I see what De Staat made possible for itself: a total new look at and take on its own songs. 'Down town' gets a waltzy/jazzy mood with a lazy female voice added the part that is so full of speed in the original. So whatever "vinticious" officially means, my suggestion is to stick with "total makeover". Agreed? "Very nice surprise" is a translation I'll also settle for should you defer with the former.